Have you ever wondered if it’s worth the work to be organized at work? Several years ago I was trying to get some shirts ordered for an event we were doing for the kids at the church I worked at. There was a shirt company not far who we’d gone to before. They did great work, but they were pretty disorganized. They rarely (if ever) returned calls or emails. I had to stop by frequently just to make sure our orders got done on time. During one of those time I hadn’t been able to get a hold of them for over a month. We had a BIG event coming up and I needed to make sure our order was going to get filled when we needed it. So I stopped by to see how they were doing and what I found took me by surprise. I walked away pretty frustrated because now I would have to scramble to get the shirts we needed from someone else. But I also felt Sad these guys lost their business because of how disorganized they were. The organization of your organization determines the success of your organization. The guys who owned that Shirt Company were cool guys. We got along well. They even gave me a discount because I worked at a church. But their operation was a complete mess. And it cost them their business. Organization allows your organization to add value to your customers, clients, parishioners, etc. Organization is all about having good systems in place to determine who does what, when, and what goes where so you’ll be able to stay on top of things. And being on top of things makes the people you serve want to keep coming back to you. 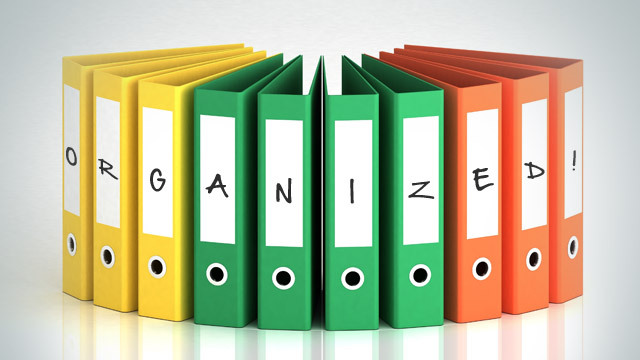 The more organized you and your organization are the more successful you’ll be. Because the organization of your organization determines the success of your organization. What about the organization of your organization do you need to reorganize?